I started working from home in 2009, and the idea of working from home came to me because I wanted to stay home to take care of my kids. I firmly believed in the concept of working from home, because I did a lot of research on the kind of home-based jobs I can do or the side hustles I can start from home. It was not easy to search through thousands of results, but there were legitimate work from home jobs online. Over the past nine years, I have learned a lot about how to successfully earn a good income from home or from anywhere. That led me to follow my passions – blogging and photography. But I know this is not the case with everyone. All through these years, I have seen an increasing number of people opting to work from home. This could be for various reasons like to avoid commuting, save money, spend more time with family, follow their passions, etc. Though they want to do something from home, everyone is not successful in finding legitimate and good paying jobs or hustles. I had many questions about working from home when I started and I am very sure anyone who wants to work from home has the same. So, today, I have come up with a list of questions that work-at-home enthusiasts have about working from home, companies, hustles, and money-making sources. These are the questions that I gathered from websites like Quora, Medium, WAHM, Reddit and many places where people want to know more about the whole process of working from home. If you want fresh work-at-home job leads every week, sign up for our FREE newsletter which has new online jobs and side hustle ideas delivered right into your inbox. You can also send me your questions as I will be updating this post. I want it to be a useful resource where you can find all your work-at-home questions answered. This is from someone who has been doing it for around 9 years and is a stay-at-home mom. Do I have to pay any fees to apply for Work-at-Home Jobs? A simple answer for this is, no. You should never pay any money to get a home-based job unless you subscribe to membership of legitimate job boards like FlexJobs. It is one of the most authentic work-at-home job boards out there. You can get up to 30% off the subscription when you use the code AFFILPROMO. That makes a yearly subscription ($44.95) less than $4 per month! Any work-at-home job that asks for payment before you get hired is a scam. Keep away from such offers. In some work from home jobs, they do a background check for which they charge you, which is entirely legitimate. That’s the only time you pay money before you get hired. Are there any good work-at-home jobs that pay well? If you look hard, there are loads. The work-at-home job market is not like it was a decade ago. You will find jobs that give full-time income and have the flexibility to work from home like this one. It also depends on what kind of job you are choosing. If you are expecting to earn a full-time income or more from home, then taking up data entry jobs won’t help. Here is a list of work-at-home jobs that pay really well. Why can’t I find any legitimate work-at-home options? There might be many reasons for this. First of all, you need to understand that legitimate home-based jobs are not easy to find. You should not jump at first sight of a job ad online. This is how you will fall prey to the scammers. Have a list of some legitimate work-at-home job boards, blogs, and companies. Keep checking them regularly to find the right job for you. I have a REALLY BIG list of work-at-home companies that pay between $10-$40 an hour. ​WANT TO EARN UP TO $40/HR WORKING FROM HOME? ​Get this FREE Checklist of Work-at-Home Companies that pay $10 - $40 Per Hour & sign up to our newsletter! What should I do if I can’t find a work-at-home job after searching for a long time? 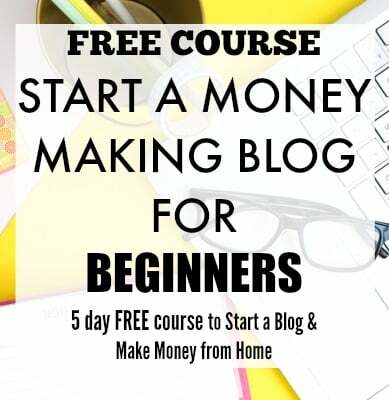 If your need to work from home is strong, then there are other ways to earn an income from home instead of a work-at-home job. You can choose a profitable side hustle or a home-based business. Don’t worry, home-based businesses necessarily do not mean they are scams. Many authentic home-based businesses pay well and give a lot of flexibility. Working from home does not mean particularly in a job, it can be a side hustle or a home-based business. How do I prepare myself for my first work-at-home job? If you have never worked before, then you need to understand that a work-at-home job is pretty similar to any desk job. You need to work hard, reach your deadlines and focus on your work even with family around. This sounds hard, but things become easier later on. I have done it, and you can do it too. For every job there is a learning curve, so be prepared to learn and get the hang of it. You will have to work a little harder in the start till you understand your role and responsibilities. The one biggest quality to work from home is being self motivated. You need to develop this trait, if you don’t have it yet. What are the most in-demand work-at-home jobs that are around? Every day many new work-at-home jobs/side hustles that come up are increasingly becoming in-demand now. To name a few, virtual assisting, technical customer service, bookkeeping, scoping, SEO consulting, chat agents, online tutoring are some that are quite popular now. Some of these work-at-home jobs need some prior training, so having previous experience in these roles does add up. Are there any part-time work-at-home jobs? There are loads. Many work-at-home jobs offer part-time positions like search engine evaluators, chat agents, transcription and more. Part-time work-at-home jobs provide flexibility, and they are excellent to juggle along with your full-time job. Can I earn around $2,000 a month working from home? I see many people ask this question every day. Earning any amount of income from home needs a lot of prerequisites like finding the right job, working hard and maintaining work-life balance. Many jobs can give you around $2,000 working from home. For example, I earn about $4,000/month working part-time on my blog. You can choose jobs like customer service, virtual assisting, writing, sales rep to earn that amount. Another flexible job that could give you that amount is being an online tutor with VIPKID. You can earn $16-$22 an hour. Is working from home easy? Not at all. There are days when I feel overwhelmed and stressed out because I have to balance family and work at the same place. When you are first starting your work-at-home journey, it will be hard but believe me it gets easier. Having the freedom to spend time with your family is one of the biggest advantages of working from home. Any given day, I would not give up this flexibility to work from home for anything. Can I find work from home jobs no matter where I am in the world? Absolutely. I have said this before, and I say this now, you can find work-at-home jobs from anywhere in the world. I am in Australia and have been working from home successfully. If I can do it, you can too. The only thing you need to do is, look in the right places and be with an open mind to accept the options that you have. What are some best websites to search for work-at-home jobs? There are many legitimate websites, blogs that give a lot of information on working from home. And of course, you can check out our job board for latest work-at-home jobs or visit Indeed. Are side hustles good options to work from home? For sure. I am a side hustler, and I can say for sure, side hustles are great. Many things make side hustles the best choice to earn money from home. They are flexible, and they can be done while you maintain your full-time job, they can even give you a six-figure income, they can grow into a full-time business. My side hustle gives me a full-time income, and I still do it part-time. I cannot invest any money now, can I still work from home? Though home-based businesses and some of the side hustles require some investments, work-at-home jobs don’t. You can do research and find the right job and apply for it. You do not need to pay anything. 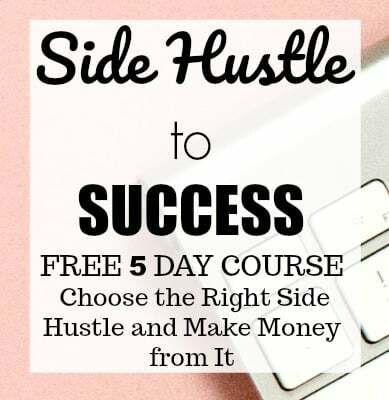 Some side hustles need a little investment, but they have a high-income potential, so if you do have a free hand to invest, I suggest you look into side hustles first to work from home. Can I make money fast working from home? Working from home does not mean you are going to get rich in a week. It is not a magic wand where you get loads of money instantly. The amount of hard work you need to put in is the same for work-at-home jobs as a desk job. If you do need money fast, there are some extra money tips you can use to earn $100 in a day or make $1000 a month without a job. These are only extra income options, and they cannot substitute your primary income. I do not know what I am good at, can I still work from home? You surely can. I know it is hard to pinpoint what you are good at when you are looking for a WAH job for the first time. It can be very confusing, but it is essential that you choose a job that you are fit for. Selecting a wrong job will only be a disappointment a little later. If you are unsure of what you can do as a beginner, here is a list of entry-level work-at-home jobs you can do. Start with these and decide what your interests are through the journey. I am a stay-at-home mom, can I earn money working from home? We are in the same boat! I am doing it for eight years, and you can do it too. It does not matter; if you are a stay-at-home mom or a student or a retiree or just in between jobs, you can find legitimate work-at-home jobs. As long as you have the right skills (or ready to learn), do research and apply for the right jobs, you can work from home and earn a significant income. I don’t have time to search for jobs, how can I find one? I understand. It takes a lot of time and effort to find good work-at-home jobs or side hustles. Not everyone can afford to put in the time to look for a right WAH job or a side hustle. But there is an easy fix for this. If you are tight on time but you need legitimate work-at-home options, sign up for the free newsletters for legitimate job boards like ours. You can sign up for Google alerts for the exact word like ‘work-at-home jobs California’ you will get emails whenever there is a job posted or a work-at-home option in that particular area. Working from home can be done in multiple ways right from full-time work from home jobs to just extra money-making. It depends on you what you choose and start working on it. 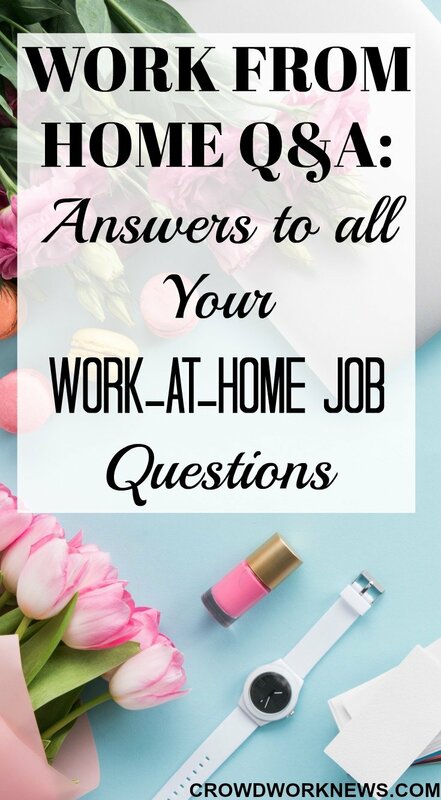 I hope this Q&A helped in answering some of the questions you have to start working from home.